Has been under new management since the end of June, and is better now than it was in the late 80s/early 90s. Copper, Otter & Doombar with Ringwood coming soon. Simple pub food done well & all reasonably priced. Just got back from a holiday at a cottage in the village. 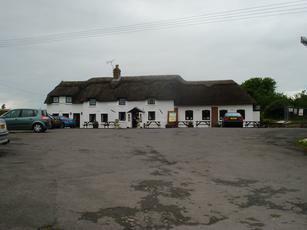 We found the staff very friendly, the food was really good a the 3 real ciders and 2 types of perry was extremely welcome. This is a lovely old country pub i have eaten here quite a few times over the last few month and everytime we good the food is fantastic and good value we even went there recently for mothersday and again flawless and an amazing deal with mothers eating for a fiver. As for the previous comments ref. mice this i believe was over a year ago uner old management all i can say on that is the place looked and smelt very clean and look like they had spent alot of time and money to get it right still has its character. I gave this pub an 8/10 a while back because I was pleasantly impressed. However, today I see on the BBC Dorset website that the former publicans were just fined �6,000 for a mice infestation: "Live and dead mice were observed along with vast amounts of droppings... The kitchen and bar area were found to be infested with mice. There was little regard for pest control in evidence." It's now got new owners, the article says, but I don't think that I will be eating there again any time soon. And I withdraw my earlier rating. Not really a pub,more a place to eat, and the food is expensive, especially for what it is. My meal was very disappointing and probably the worst I have had in a pub fora few years.Beer okay,but very limited,just 3 pumps for a very big bar, Ringwood,Otter and Copper ales, some lagers.Staff very helpful and friendly, but all a bit chaotic and a bit noisy.Have been 3 or 4 times, but wouldn't visit again, especially to eat.